If you’re looking to seriously improve not just your health and fitness, but also your entire physique as well, you’ll need to ensure that not only are you following a smart and well balanced diet and training routine, but that you also actually understand your body, the various muscles within your body, and why each exercise is so beneficial. To build muscle you will need to ensure that each of your major muscle groups gets trained at least once per week. Take the back for example, some people simply say they’re “training their backs” when in reality there are different muscles located within the back and it is these back muscles which we’ll be looking at right now. The Rhomboids muscles are sometimes referred to as the lower trapezius muscles as they resemble a long rhombus which appears to be balancing on one single point. Your rhomboids muscles are made up of two separate heads: Rhomboids major, and Rhomboids minor. To really work your rhomboids there are several exercises you can perform. These include: incline pull ups, close grip lat-pulldowns, bent over barbell rows (which cover a lot of back muscles), Inverted Rows and standing back flyes. The latissimus dorsi, or the lats as you’ll probably hear them referred to as, only actually have one head yet despite this, you can still technically work your upper and lower lats with a number of different exercises. The name actually translates to “broadest (muscle) of the back” and is a large muscle located on the posterior of the arm just below the rhomboids. It starts just below the shoulders and actually can extend all the way down to your obliques. 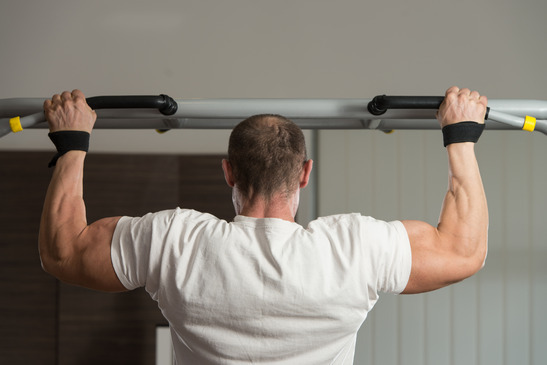 There are several exercises to work the lats, including lat-pulldowns (close and wide grip), as well as T-bar rows, and bent over rows - and of course Pull ups . Your spinal erectors are a group of muscles that actually consist of three separate columns of muscles. They extend from the lower back of the skull all the way down the body to the pelvis. These muscles help to aid in the control of bending motions at the waist and can help to back to return back to a straight upright position. Bent-over barbell rows work the spinal erectors especially well, as do bent-over dumbbell rows and hyperextensions. The traps are your neck muscles. There is one main exercise for your traps - shrugs. They can be done either with a barbell (recommended) or dumbbell. It can be suprising how much weight you can pull with these neck muscles - but there isn't much movement. It is best to do these slowly and with good form. 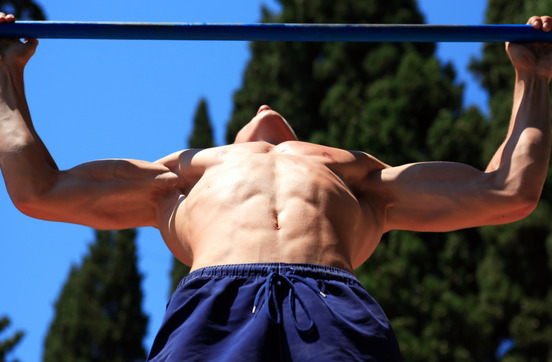 What are the best exercises for the lats?